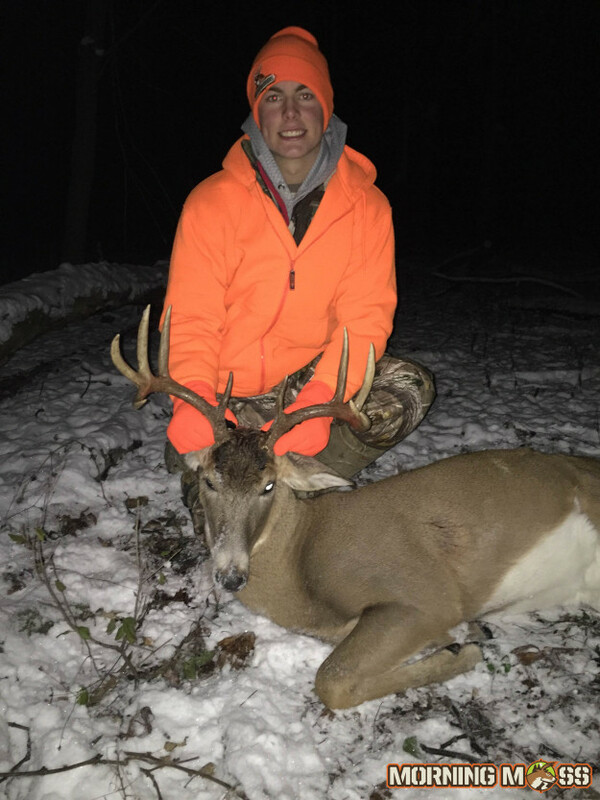 The opening day of the Wisconsin gun seasons brought a fresh layer of snow and a nice ten pointer for this guy! This Wisconsin 10 point buck was shot in Columbia County on the evening of the first day of the 9 day Wisconsin gun hunt. Bennett shot the deer with a .270 shot gun at 100 yards at his home. Congratulations on a great buck Bennett! Check out more big buck user submissions.